Even if it`s still winter, and a lot of people are bulking, maybe even you, but you can shock your body with some lean tips. Maybe you aren’t in bulking phase, and just wanting to look better. 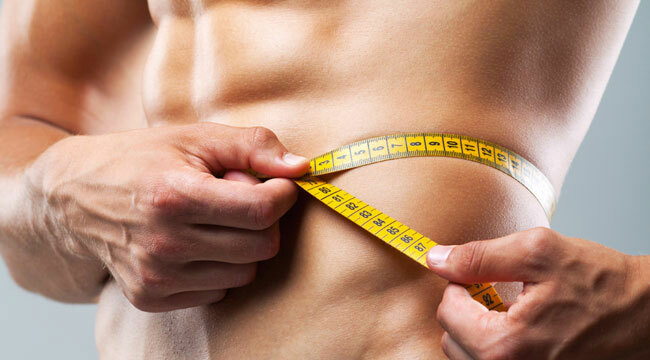 These few tips will help you to become lean and mean machine, and look better than ever. Read carefully, maybe now you don’t need these tips, but someday you will need them. How to have a lean physique? How to build lean muscle? In order to become a leaner, you need to build muscle, or if you have some muscle, you need to define these muscles. Try to train more frequently, if you train 3 days a week, start to train 4 days then 5 days per week. Train heavily, compound movements followed by isolated exercises. Try to mix your weights with HIIT, or some other form of cardio. Train hard, and aim for muscle fatigue, tear down those muscle fibers and make new, bigger and stronger. The more muscles you have, the more you calories you burn trough out the day. You can’t do any progress if you don’t pay attention on nutrition, if you are a strongman, there is a special diet for you, if you are a fitness enthusiast and trying to lower your body fat, there is diet for you, and of course, if you want do become lean, there is diet for you! Start with protein, 1-1,5 per pound of body-weight, eat quality form of protein like chicken, turkey, tuna, lean red meat, eggs, cheese and so on. Carbs are crucial for everything, building muscle or losing fat. Eat 3 grams of carbs per one pound of bodyweight, and try to eat all of your carbs in only three meals, breakfast, pre-workout and post-workout. Breakfast-20%, pre-workout-60% and post-workout-20%. Don’t be afraid of cardio. Most of the guys that thinks that they are a serious athletes, bodybuilders are afraid of cardio, “I will lose my muscles”. I have one question for people like that, do you have a quality muscle mass? Or you have just fat? If you have a quality muscle mass, you can’t lose it that easy, of course if you the right amount of cardio, if you overdo it, you will lose it, but I don’t think that you would run for two or three hours every day. Three times a week do a 30min of cardio and it will do the trick. Check our article on Most Effective Cardio Workout! Calisthenics or street workout, your body and bars, that is all you need. When I was training only calisthenics I was shredded like crazy, my workout session was hitting a nine muscle groups and for hour and a half I was pushing it hard. Monday, Wednesday and Friday it was a upper body, Tuesday, Thursday and Saturday it was lower body and some cardio. Switch for some time, gym for calisthenics, or maybe the other way around. Remember the goal is to shock muscles and to speed up fat burning. There is no way for you to gain muscle mass, lose fat, look better, feel better if you don’t rest properly. 7-8 hours every day is a must. Try to go to bed around the same time every day, and waking up by itself, you will feel better and lift better, and after all that, look better. If you lack sleep, try to incorporate a power nap in your daily schedule, but don’t do it right before your workout, because you will be sleepy during your workout, and you won’t be able to train as hard as you would like, I’ve made this mistake a couple of times, it wasn’t good, sleep during the day, train during the day. Do you train the same for a period of time? Do you eat the same for ages? Are you doing the same treadmill cardio for hours? If the answer is yes, than read this with eyes wide open and listen carefully. Find a new workout program, the internet is full of workout routines, weekly routines, specific muscle group routines, what do you want, everything. So find some other program, and crush it for a 3-3 weeks and then you change it. Try some new foods, change the grocery store that you are going to, find some new things to eat, research, you can click here for some tips, and here for pre and post workout nutrition. There is always some good source of protein, carbs and fat that you aren’t tried. When it comes to cardio, there is really a lot of different ways to do it, and you can do it whatever you like, you can do steady pace cardio on a treadmill, you can do HIIT, you can go for a swim, run, boxing, cycling, skating, football, soccer, you name it. There is something you love but not doing, for sure. Less fruit more veggies. Apple or broccoli? I think that I 9 out of 10 situations, broccoli would win. One medium apple (7oz) has around 95 calories, and 25 grams of carbs, broccoli (7oz) has a 70 calories and 15 grams of carbs, calorie by calorie, and you will start to see the difference in you appearance. Eat fruit in the morning or before your workout, but every other meal, protein, veggies, and optional carbs or fat. Some vitamins and minerals are crucial for hormonal release of decrease, depends on your gender and your needs. Some combinations of vitamins and minerals can help you shed your fat more efficiently and faster. B complex vitamins helps you to use your fat stores for energy, more energy from fat, less fat around your belly. D vitamin help your body to increase lean muscle mass by improving protein synthesis. Calcium will help you to shed your fat down. Iron improves contraction and elasticity of muscles, it is a oxygen carrier, and improves your brain function.